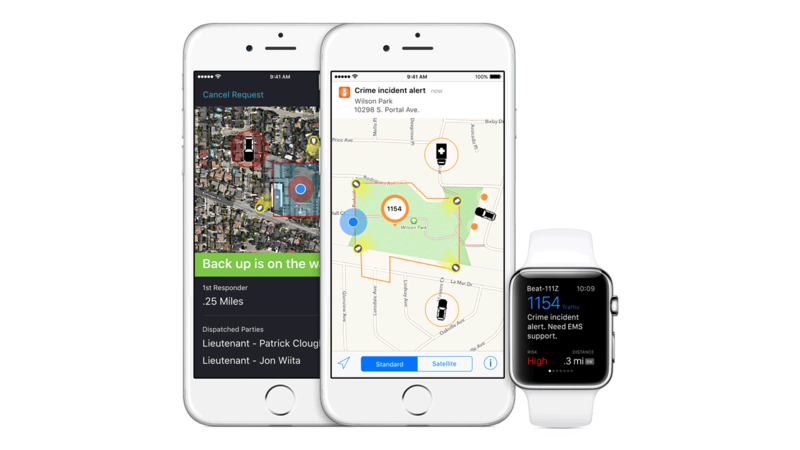 IBM MobileFirst for iOS Incident Aware gives police officers location and incident information to aid them in de-escalating potentially dangerous cases. Retrieve critical organizational and community data while on the street. Use maps, street views and satellite feeds for a complete understanding of your response location, including other resources in route or onsite. Select Satellite View to see available CCTV feeds, which you can access one at a time by swiping through the feed, or view several cameras together via a grid. Directly dial 911 callers and witnesses, and review suspect data, when available. Log in to Incident Aware on iPhone or iPad to view a map of your immediate area. Icons on the map mark other officers and vehicles, with a pin marking incident locations. As you move, GPS tracks your location for other officers and the command center. View crime history, victim status and risk of escalation to make informed decisions. Weigh your actions against an always-on view of responders in your area to assess whether you need or should provide backup. Situational awareness doesn’t mean officers won’t get into dangerous situations. In emergencies, use the Call4Backup feature to silently request for backup without creating more danger for yourself and others. A sequence of key strokes before leaving your car enables you to tap just once on iPhone or Apple Watch to send for help. Mounting your iPad or iPhone in your vehicle still allows you to retrieve and carry it. To see the app in the dark or avoid being seen, select Night Mode. Changing to the satellite map view, showing responder vehicles in the area, camera feeds, and other detail, only requires two shakes of the device. Click a green agent icon to identify the location and status of a colleague. View the calculated risk rating of this incident, which is updated continuously as things change. Incident Aware is customized for each client to serve specific organizational and regional regulations and requirements. Your application can be customized and ready to deploy fast, even for accelerated time frames.